Graham was commissioned to write oil painting and drawing chapters in a book entitled 'Artists Painting Techniques' published by Dorling Kindersley and was the consultant artist for 'Artists Drawing Techniques' by the same publishers. He writes articles regularly for the Artist Magazine, has been featured in Artists and Illustrators Magazine and is listed in 'Who's Who in Art'. 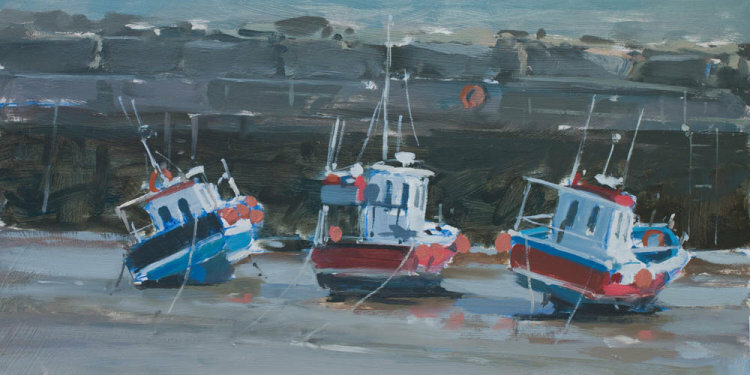 Graham's paintings have also been used on set for the BBC. He is also available to give painting demonstrations to art groups and societies, if you would like more information, please use the contact page.